May 2016 bring health, happiness and peace. Taking a holiday break - will be returning January 4th, 2016. 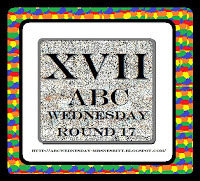 This week at ABC Wednesday, W is our letter to work with. I took a break from writing out my Christmas cards (I'm late this year for sure!) and decided to play with my watercolours. I created a few simple pictures. Be sure to check here for what others around the world did for W.
IT's time for that fun weekly meme hosted by Julia Dunnit at "Stamping Ground" - where we share our work spaces and what we are working on this week. Here is my work space on my dining room table after completing my watercolour pictures. You can see the pile of Christmas cards to the right - just waiting for my husband to sign. Today it is time to share our work spaces and what we are working on for WOYWW - the fun meme hosted by Julia Dunnit at "Stamping Ground". Yesterday, I played with paint for the start of a journal - which became the choice for V at ABC Wednesday (variegated). My art table was a wee bit messy then. 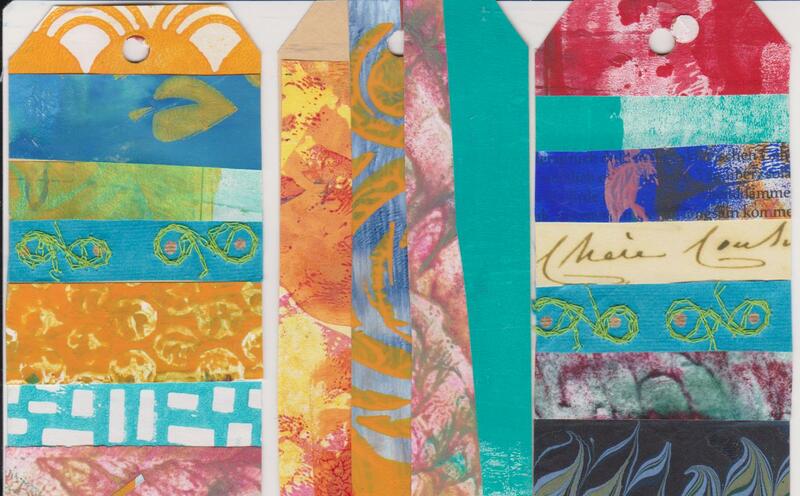 I was also making the backgrounds for "truth cards" - a project for "Journey to the Heart" at "Words of Me Project". 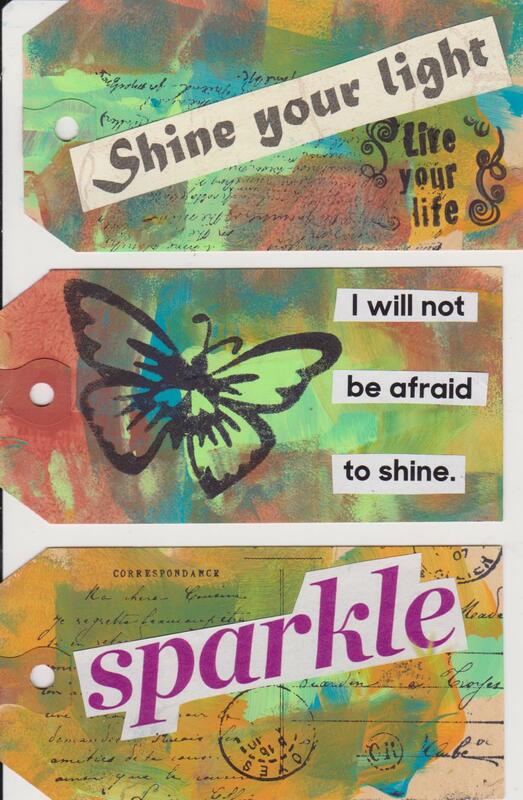 I then worked on the truth cards at the dining room table - by stamping, adding some images and words and quotes. Then this morning, I worked on my journal page. I had found a quote on variety (for the V challenge) and then in the newspaper this morning was an editorial about the coming extinction of the Cavendish banana. Diversity is being lost in so many places. This quote really spoke to that. This week at ABC Wednesday, V is the letter of focus. I had fun creating streaks of paint in my journal - as preparation for a quote page on variety. Be sure to check here for how others faced the V challenge. This week at ABC Wednesday, U takes centre stage. U is for ugly art. I tried, I really tried, to make some ugly art. First was a layer of paper scraps, just glued randomly. 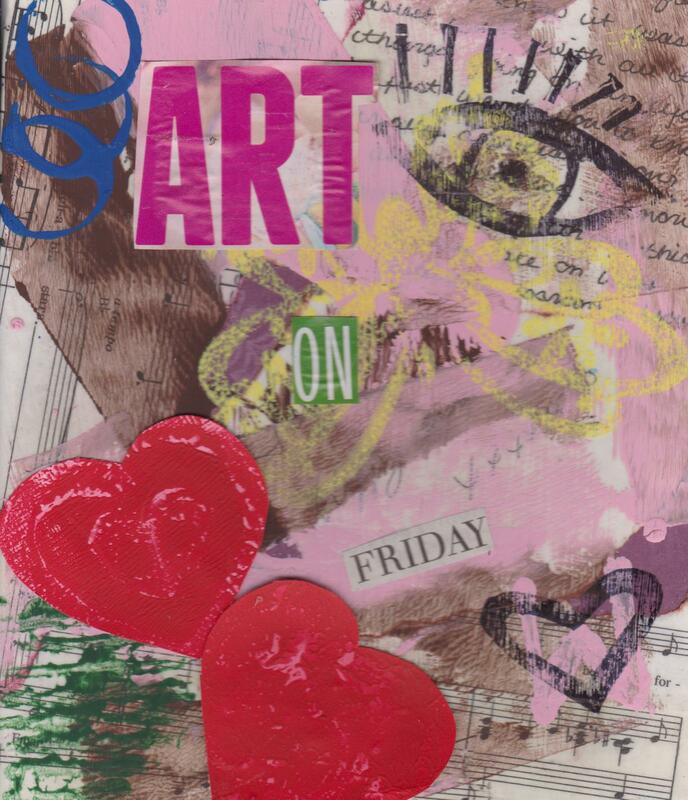 Then I splatted paint onto the papers and spread it around, and using plastic wrap to move it around some more. Finally, I added a quote - one that took me some time to find. Several on bad artists though! It may not be the ugliest piece, but I enjoyed the process - something I always encouraged in my students. Be sure to check here to see how others around the world tackled the U challenge. IT's that time of the week to share our work spaces for WOYWW - that fun meme hosted at "Stamping Ground" by Julia Dunnit. For the second task, I worked at my art table in the basement - don't have to worry about the mess of paint here. This week both gratitude and a full moon inspired me to create journal pages. With American Thanksgiving this week and the theme of "autumn colours" at Art Journal Journey, I used inspiration from Valerie -Jael of Bastelmania to create this page. 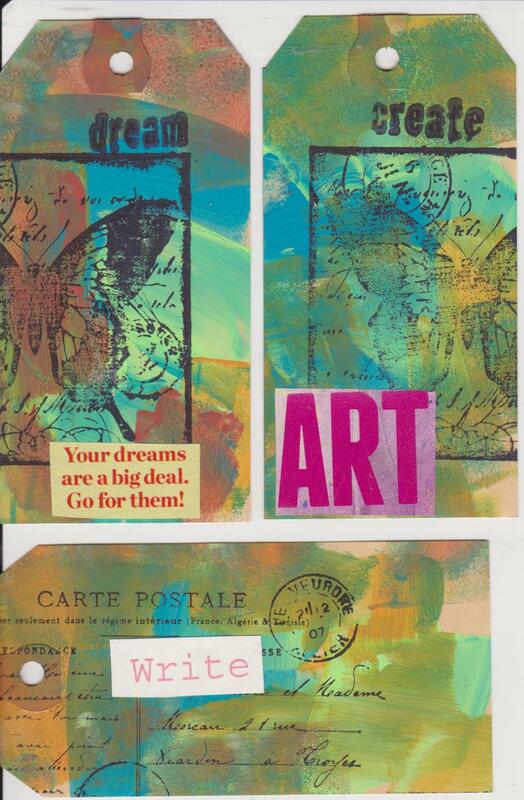 I have returned to the practice of creating a dreamboard on the ful moon and find it valuable. This time I found several quotes that spoke to me used those to motivate me in the month ahead. The theme of shifting gears struck me as necessary - changing what I do to achieve better results - not only in my writing but in my pursuit of better health. The need to express my creativity came through as well. 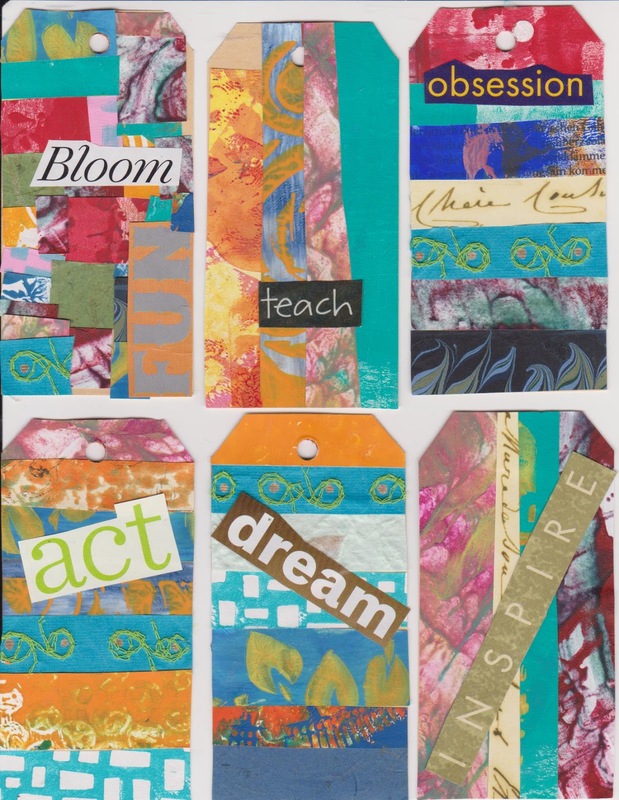 Several om "One little Words" found there way on the dreamboard as well - as a reminder to seek joy, believe I can achieve, and bloom. This week at ABC Wednesday, the letter of the week is T.
T is for tape and typography. and then added letters of different fonts cut out from a magazine. Check here for how others from around the world tackled T.
Each week artists around the world converge at "Stamping Ground" to share their work spaces and projects for WOYWW - the fun meme hosted by Julie Dunnit. I worked on this spread at my dining room table. The rfirst round of laying down the tape was not that messy. But as I started to cut out letters from the pile of magazine pages to the left, there were a few more piles and mess. 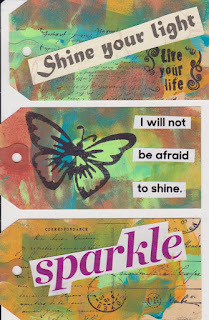 I may be a bit early, but when I created my journal spread today, based on "Live, laugh, love", I couldn't wait to share it. It has been a touchstone for most of my life and I have a number of art pieces based on those words. When my daughter posted this new version, I knew it applied so much to the events of the past week, as well as all the horribleness in the world. The words of a Frenchman, Antoine Leiris, to the murderers of his wife, really touched me and if you haven't read his words pleasedo so. Love must prevail over hate. What a wise, wise soul he has. If he can express these words, everyone else must. Friday night, you took an exceptional life -- the love of my life, the mother of my son -- but you will not have my hatred I don't know who you are and I don't want to know, you are dead souls. If this God, for whom you kill blindly, made us in his image, every bullet in the body of my wife would have been one more wound in His heart. So, no, I will not grant you the gift of my hatred. You're asking for it, but responding to hatred with anger is falling victim to the same ignorance that has made you what you are. You want me to be scared, to view my countrymen with mistrust, to sacrifice my liberty for my security. You lost. I saw her this morning. Finally, after nights and days of waiting. She was just as beautiful as when she left on Friday night, just as beautiful as when I fell hopelessly in love over 12 years ago. Of course I am devastated by this pain, I give you this little victory, but the pain will be short-lived. I know that she will be with us every day and that we will find ourselves again in this paradise of free love to which you have no access. We are just two, my son and me, but we are stronger than all the armies in the world. I don't have any more time to devote to you, I have to join Melvil who is waking up from his nap. He is barely 17-months-old. He will eat his meals as usual, and then we are going to play as usual, and for his whole life this little boy will threaten you by being happy and free. Because no, you will not have his hatred either. Here is a link to his remarkable words spoken. This week at ABC Wednesday, S is our letter of focus. S is for strips and scraps of paper. From these strips of gelli papers, I created a number of striped tags. Be sure to visit here to see how others around the world faced the S challenge. Julia Dunnit of "Stamping Ground" hosts WOYWW, a weekly check-in where artists from around the world share their workspaces and what they are working on. 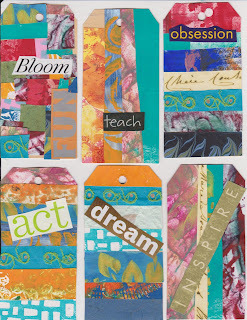 I have been creating tags with gelli paper scraps for AEDM was creating a few and thought I'd share my work space mid-way through the process. Top left are several tags I had finished and to the right is my tub of papers and odds and ends for projects, as well as a pile of papers to work with. Once the tags were finished, I chose a word (or words) for each card. 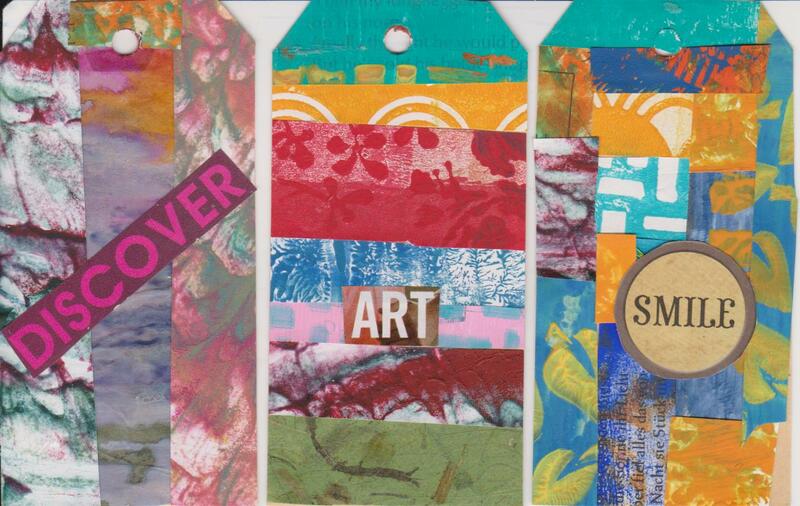 Here are a few more of the completed tags. Today we are asked to share our workspaces and what we are working on. Julia Dunnit of "Stamping Ground" hosts this fun challenge. As I prepared for ABC Wednesday, a weekly challenge I participate in, I chose to focus on ribbons for the letter pf the week. I created a watercolour page based on the quote I chose. But I changed my mind after creating the page to Remembrance Day, as we celebrate that today in Canada. This week at ABC Wednesday, R is the letter of the week. R is of course for Remembrance Day - what will be celebrated in Canada tomorrow, at the eleventh hour, of the eleventh day of the eleventh month. R is also for ribbon - as can be seen on the medal my father received at the end of WWII. The colours of dark blue, red and light blue represent the navy, army and air force. The medal is the 1939-1945 Star, for six months of service on active operations for Army and Navy and two months for active air-crew. 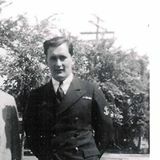 My father enlisted into the navy and served on warships out of Halifax. I will be in attendance at the Remembrance Day service tomorrow at our local cenotaph, not only to remember and honour him, but all the others who gave their lives for peace. Be sure to visit here to see how others remembered "R"